A tale of two voyages, Roger’s latest book gives a fascinating account of sailing in Northern waters. On first receiving the book I sat down to read the preface, intending to make a start on Chapter One later in the evening after work. Anyone who has read Roger’s previous books will know that this is not possible – within a few minutes all thought of work had gone. Every page is packed with fascinating detail, all written in a style that makes it impossible to put down. …by midnight we were racing along under bare poles, driven on by a full sub-Arctic gale. Black cloud had long since fused into black night and so we ran on into the very heart of darkness. Mingming skipped easily through the building seas; with the wind fine on the port quarter she was at her happiest. I squeezed myself into my sleeping bag and dozed on and off. There was little else to do. The self-steering was set and the hatch and port light sealed. Doubly cocooned I saw out the brief night. 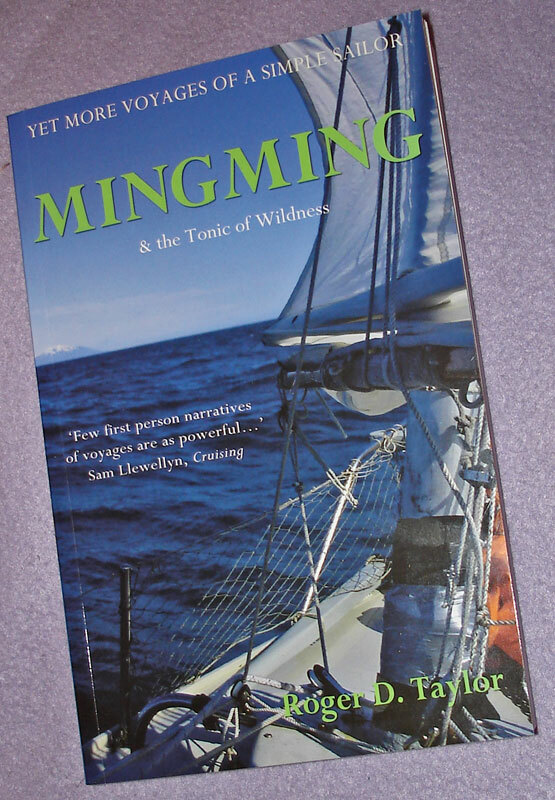 Mingming and the Tonic of Wildness is available from Roger’s website, from Amazon and many other on-line bookshops. Author: Roger D Taylor, ISBN 978-0-9558035-3-6, pub. Fitzroy Press. This entry was posted on September 26, 2012 at 10:17 and is filed under Uncategorized. You can follow any responses to this entry through the RSS 2.0 feed. You can skip to the end and leave a response. Pinging is currently not allowed. Just downloaded this book for my Kindle and the first couple of chapters have captured my imagination already.